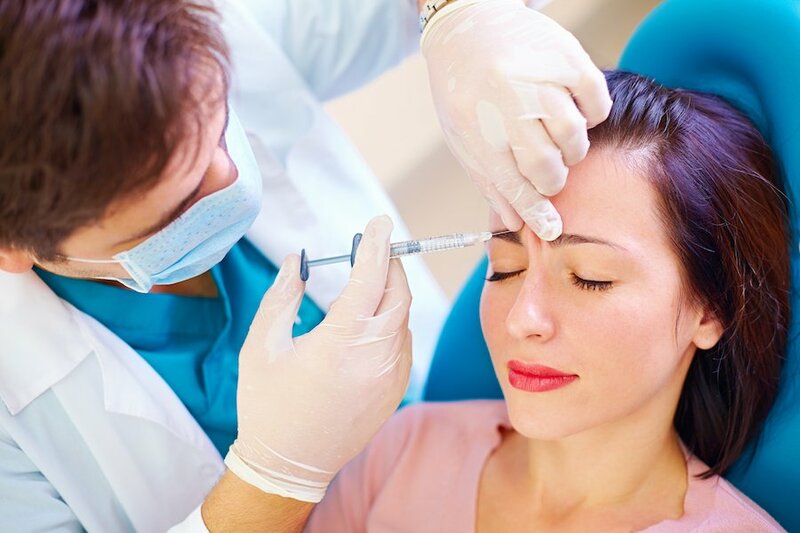 The history of Botox® began when a toxin called Botulin was first discovered connected to a very rare form of a paralytic illness. This toxin, Botulin, was caused by the bacteria Clostridium botulinum known for producing the most potent of toxins ever known to man. One gram of the toxin produced by the bacteria is lethal for human beings because it blocks the nerve impulses and leads to respiratory and also musculoskeletal paralysis. Although very dangerous, scientists began to do in-depth study and research on the substance and eventually purified it to create a very helpful tool used widely in cosmetic surgery today. These days, Botox® injections are used widely to help reduce signs of aging. As well, it is used in other medical applications. Botox® was first used to treat medical conditions like muscle stress, disorders, lazy eye, uncontrolled blinking and muscle related problems before doctors realized it had amazing potential for cosmetic and other medical uses as well. Botox® injections are now used to treat excessive sweating, migraines, overactive bladder – to name a few. In order for physicians to inject Botox®, they must undergo accredited Botox training. Botox® training offered by the International Association for Physicians in Aesthetic Medicine (IAPAM) is specifically Botox injecting for cosmetics, however the benefits, risks, procedural strategies and rules and regulations of other applications are covered as well. Who Is Suitable To Receive Botox® Treatment? Botox® treatment is suitable for most individuals. Results vary from person to person, therefore a physician needs to be well informed about the patient’s medical history and also their present health condition. Botox® injections are not recommended for people who have nervous system issues, muscle disorders, breastfeeding mothers or women looking to become pregnant soon. Age also happens to be a decisive factor whether you are eligible to receive Botox® injections or not. If you do not have sun damage to your skin and are between the ages of 18 to 50 you can be considered an ideal candidate to receive Botox® injections. What Do You Need To Know About Botox®? Since people have heard about the powers of Botox®, they have set unrealistic expectations towards its outcomes. Botox® results will not be miraculous, as the injections cannot work wonders on the face. However Botox® can enhance features and momentarily prevent aging. Medically, Botox® injections are used to treat conditions like misalignment of the eyes, neurological disorders and also facial spasms that can be a result of muscle contraction abnormality. In cosmetic procedures, Botox® injections are used to smooth frown lines and prevent signs of aging by paralyzing or weakening the muscles which cause wrinkles in the skin. Botox® results can last up to six months and need to be repeated overtime to maintain its results. Tiny Botox® injections are directly injected into the skin and muscles in the face. The procedure takes less than an hour and there is no need to administer anesthesia. Botox® injections are always administered using a very fine needle and there is very little or no discomfort at all. Botox® takes about a week to exhibit its full effects and the patient is advised against consumption of alcohol prior and after the treatment for at least a week. Anti inflammatory medicines and aspirins are prohibited for use almost two weeks before the treatment takes place so that bruising can be reduced. Botox® injected into the muscle blocks the release of acetylocholine and hinders muscle contractions in the area. The nerve endings are bound and the muscles become paralyzed or weakened so that they do not age with time or change shape. The healing process is a week, after which the muscle becomes relaxed and smooth for a period of four months or more, after which it regains its original shape and strength. When Botox® wears off it leaves behind lines that are not as severe as the original ones prior to treatment. As Botox® treatments are repeated the results will last longer. Immediate side effects of the injections may be flu-like symptoms that are accompanied by nausea and headaches. There may be facial pain and muscle weakness which at times might make eyelids droop and cause the vision to become double. These side effects disappear after continued use. According to FDA and medical research, Botox® injections paralyze muscle functions to stop signs of aging and this in the long run can cause people to experience loss of muscle control and also decrease of strength in the muscle area which has been injected with Botox®. Over time, repeated injections of Botox® to a particular area in the body can also cause permanent paralysis of the muscle. This is by far one of the most important and dangerous side effects of using Botox® injections. The toxins can spread into the surrounding tissues and this can prove to be fatal. Although the spread of toxin hasn’t been noticed in cosmetic procedures, it tends to happen occasionally when the drug has been administered in large doses for non-cosmetic medical reasons. Some patients who receive regular Botox® treatments have complained about experiencing allergic reactions that can lead to hives, chest pain, difficulty in breathing, bleeding abnormally, abnormal heartbeat, seizures, speech alterations and bleeding from the site of injection. These reactions, while uncommon, can also prove to be fatal if they remain unnoticed or left untreated. Patients receiving Botox® treatments near the area surrounding their eyes can develop a number of eye related side effects. The eyes can become irritated or completely dry thus appearing bloodshot. Patients also reported developing blurred vision or eyelid drooping along with swelling with watery eyes. Such side effects should immediately be discussed with a physician as they can result in permanent vision loss and problems of the eyes. Botox® has been used safely and successfully for decades. It is fast, effective, and the side effects are usually barely noticeable, and gone within a few days. Despite the long term Botox® effects, it is a safe way to minimize signs of aging and enhance features. I’ve read that it may take weeks for side effects to show up. Is that true? Is there information which shows long-term effects of Botox and potential neuorolical damage? It’s also treatment for severe and chronic migraines… Something that can often be *AS* debilitating as losing your sight. You can see who has had a face-lift, they typically (over time) wind up with very distinct (and imo unattractive) facial features. My question is this: Does Botox result in long-term facial feature changes? That would be an exceedingly rare complication!!! Just so you know, surgery is FAR more likely to have a long term complication that botox especially if done by a trained injector!